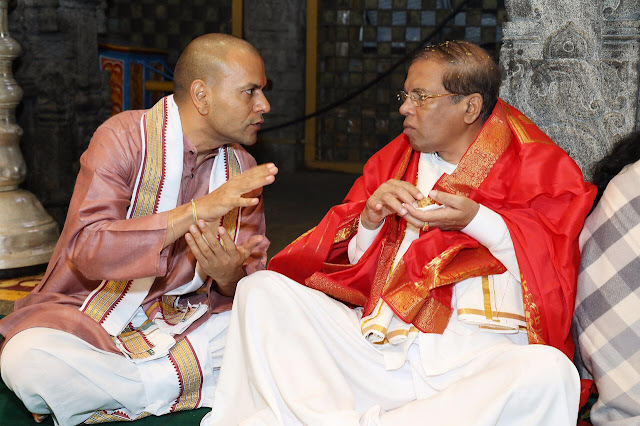 Planet Or Plastic: Is Sri Lanka Making The Right Choices? It is the responsibility of each person using plastics to take action in their capacity to minimize the magnitude of this issue. Since the revolutionary invention of the first synthetic polymer back in 1869 by John Wesley Hyatt, plastic manufacture has not been constrained by the limits of nature.The wide range of completely synthetic modern plastics started to be developed around a century ago, offering benefits not found in natural materials. With the countless possibilities of plastics, it was viewed as an abundant material that is inexpensive and safe, which could be shaped by humans to their desire. Over the last 50 years, plastics have saturated our world, and at present play animportant part in our day to day activities. It is cheap to produce, convenient, useful, durable,and found everywhere.This miracle material has made modern life convenient, at a very high cost of course, in terms of the environment, and has become a serious global menace. More than 40 percent of it is usedjust once, leading to plastic pollution, choking waterways and causing harm to many living beings in numerous ways.Single-use or disposable plastics such as plastic bags, straws, PET bottles and most food packaging,have an immense impact on the environment. These persist in the environment, degrading the soil and disturbing natural cycles. The perfect optimistic image of plastics did not last for long,as signs of negative impacts emerged withthe persistence of plastic waste, raising concerns about pollution.Plastic debris in the oceanswere first observed in the 1960s, a decade in which people in developed countries became increasingly aware of environmental problems. The anxiety about waste increased, as it was realized that plastic lasts forever in the environment. The reputation of plastics was lowered further, due to growing concern about the potential threat to human health from additives used in the plastic manufacturing process. These chemicals leach out to our food and water, and get accumulated in organisms, thereby affecting the health and wellbeing of future generations. The ultimate symbol of the issue of plastic waste is the Great Pacific Garbage Patch, the largest accumulation of ocean plastic in the world, which covers an estimated surface area of 1.6 million square kilometers with a mass of approximately 80,000 metric tonnes. Much of the debris found in thisgarbage patchfloating in the Pacific Ocean, comprise micro plastics, smaller than 5mm in size, suspended throughout the water column.Microplastics are very difficult to remove and are often mistaken for food by marine animals.Ocean plastic is estimated to kill millions of marine animals every year, affecting nearly 700 species, including endangered ones; some are harmed visibly - strangled by abandoned fishing nets or discarded six-pack rings. Akin to the Great Pacific Garbage Patch, is the Indian Ocean Garbage Patch which was discovered in 2010. Its actual size is unknown as its borders remain dynamic and cannot be identified as a solid island of plastic. However estimates of its size range between 2 million to 5 million square kilometers and is heavily influenced by the monsoons which are unique to this region of world. Here too, micro plastics have been identified as the most prevalent material and is thought to originate from the countries that surround the Indian Ocean. In the 1980s, the plastic industry offered recycling as a solution, encouraging municipalities to collect and process recyclable materials as part of their waste management systems. However, it has not proved to be a great way to mitigate this serious issue and most plastics still end up in landfills or in the environment. • About 1 trillion single-use plastic bags are used annually across the globe. That’s nearly 2 million every minute. • It is estimated that 1.15 to 2.41 million tonnes of plastics enter the ocean each year from rivers. • More than half a billion plastic straws are used every day around the world. • The world uses 500 billion plastic cups every year. • 16 billion disposable coffee cups are used each year. These are coated with plastic to laminate the inside and use plastic lids. • The world produces more than 14 million tonnes of polystyrene (plastic foam) each year. Despite the grave menace it has become, modern life is clearly not possible without plastic. Hence scientists are attempting to make plastics safer and more sustainable. Innovators are working on developing bioplastics, which are made from plant crops instead of fossil fuels, to create substances that are more environmentally friendly, and to make plastics that are truly biodegradable, while also searching for ways to make recycling more efficient, and to find a process that converts plastics back into the fossil fuels from which they were derived. It is realized that plastic is not perfect butsignificant and necessary for our future. Global initiatives to reduce or eliminate the consumption of single-use plastics have been gaining momentum. 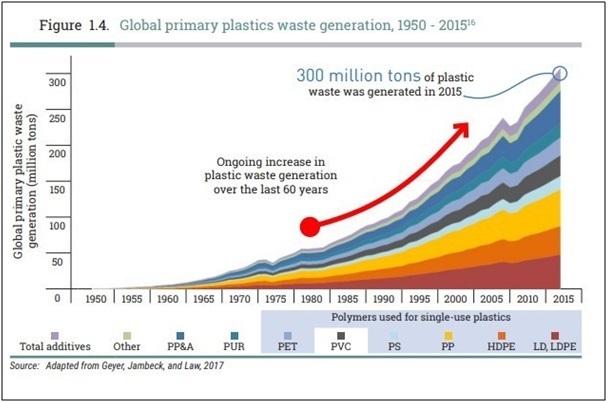 The UN Environment Programme’s 2018 report – ‘Single-use Plastics: A Road Map for Sustainability’ - finds that the bulk of the action being taken is concentrated around the use of single-use plastics. Governments from around the world committed to the vision of a ‘Pollution Free Planet’, and a resolution arrived at, at the United Nations 3rd Environment Assembly, specifically addresses marine litter and microplastics, and encourages member states to reduce unnecessary plastic use and promote the use of environmentally sound alternatives while prioritizing policies to reduce the amount of plastics entering the marine environment.Africa stands out as the continent where the largest number of countries (25) instituted a total ban on the production and use of plastic bags. In Asia, several countries have attempted to control the manufacture and use of plastic bags through levies, and some governments already introduced plastic bag bans more than a decade ago, such as in Bangladesh. Nonetheless, the enforcement of regulations has often been poor.The European Union put forth a directive in 2015, encouraging member states to set reduction targets or adopt economic instruments to achieve a sustained reduction of ‘lightweight’ carrier bags. As such, countries choose measures ranging from bans, such as in Italy and France, to agreements with the private sector, as in Austria. With regards to Oceania, most of the states in Australia have banned lightweight plastic bags and in Papua New Guinea, non-biodegradable plastic bags are banned. 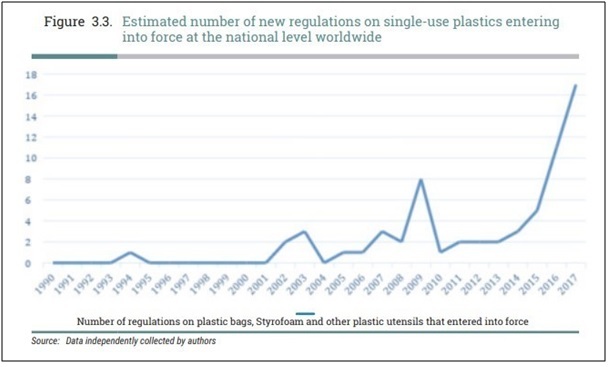 In Central and South America, regulations to curb the consumption of plastic bags are in place at both the national and subnational levels, and countries such as Haiti and Costa Rica also regulate the use of foamed plastic products. Costa Rica in particular, aims to become the first country in the world to eliminate single-use plastics by 2021. In North America, regulations have been introduced mostly at the state or city level. Lightweight plastic bags are banned, for example in Montreal (Canada) and California and Hawaii (USA). Action against single-use Styrofoam products has been taken in New York City,which re-instated in 2017 its ban on single-use Styrofoam containers after a first attempt in 2015. 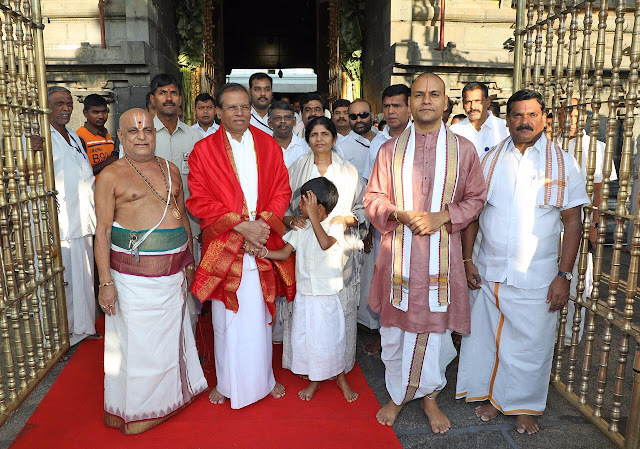 Sri Lankan President Maithripala Sirisena attended the special pooja at the hill shrine of Lord Venkateswara near in Tirupati, India, a temple official said. 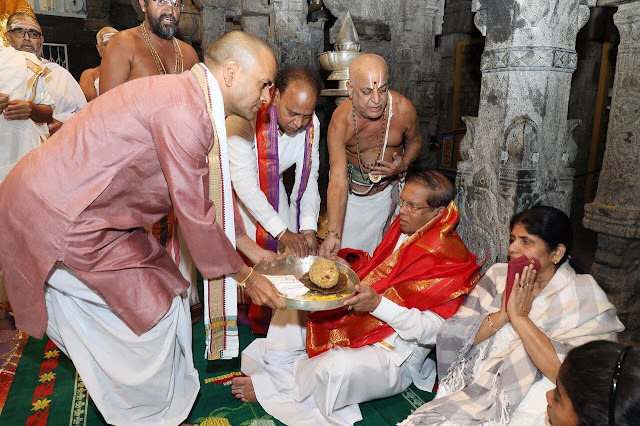 Accompanied by his wife Jayanthi Pushpa Kumari and other family members and Lankan officials, Sirisena landed at Renigunta airport, 20 km from here, at noon on Tuesday. Amid tight security, he reached the hills by road, the official told the news agencies. The president has taken a part in the 'Suprabhatha' ritual (recitation of Sanskrit hymns by priests to wake the Lord) and offer prayers to the presiding deity of Lord Venkateswara in the early hours Wednesday, the official added. There is no need to wait for anyone else to carry out the wishes of the revolution. The masses have shown that they are fully capable of changing society themselves. On 11 April, the Transitional Military Council (TMC) – a self-appointed council of the tops of armed forces and security services – declared that it was removing former president Omar Al-Bashir and assuming power itself, naming Bashir’s previous First Vice-President, Ahmed Awad Ibn Auf, as interim head of state. However, the masses immediately saw through the deception of the military and poured into the streets, breaking the new curfew announced by the army, demanding that it step back and that Ibn Auf be removed. This pressure, and in particular the strong links of fraternity between the movement and the lower ranks of the army, forced the TMC to remove Ibn Auf within 24 hours of appointing him – making him the second head of state to fall within three days – and replaced him with Lieutenant General Abdel Fattah al-Burhan. Following the power grab by the army, mass protests have continued unabated, with the focal point of the movement becoming the Ministry of Defence in Khartoum. The demands are clear: a civilian democratic government, the immediate withdrawal of the army, immediate arrest and prosecution of former regime tops who have brutalised the masses for years and social justice by ending austerity measures dictated by the World Bank and IMF. These, and in particular an attempt to end fuel and wheat subsidies, were the initial spark of the movement, igniting the pent-up anger at the regime systematically robbing and exploiting the masses. These developments further highlight the difference between this and prior movements within Sudan. In the past, they were led by the middle-classes of the capital. However, this movement has seen the collective mobilisation of the urban and rural poor, spreading to 15 out of the 18 states, all demanding a radical change to the political system. As you walk into the area of Khartoum now completely controlled by the young ‘revolutionaries’ downtown, you see the difference. The above quote provides a taste of the infinite creativity and resources of the working masses, who are far more equipped at running society than the leeching elements who have been in power for decades. The TMC announced a series of decisions, including: new heads of the army and the police, a new head of the powerful National Intelligence and Security Service (NISS), committees to fight corruption and investigate the former ruling party, the lifting of all media restrictions and censorship, the release of police and security officers detained for supporting protesters, a review of diplomatic missions, and the dismissal of Sudan's ambassadors to the US and to the UN in Geneva. The downfall of two heads of state has given the revolution a huge boost of confidence in its own powers. The masses realise that they brought down Bashir and Ibn Auf. Every day they are growing more confident in their own abilities. The TMC is desperately trying to undermine this process and perpetuating the myth that, without the ruling class (and its state institutions), chaos would ensue. Of course, the reality is the exact opposite, as we can see from the above report from the ground. With the announcement of the aforementioned concessions, the TMC is trying to give the impression that these demands have been granted by the TMC itself. They are trying to distort the fact that all of the freedoms which the Sudanese masses have today, they have attained by their own determined struggle, facing the opposition of all layers of the ruling class. At the same time, the TMC is trying to appear to be on the side of the revolution. The enormous power of the revolution, which has thoroughly infected the lower ranks of the army, meant that the top brass (in spite of all attempts) was unable to take on the revolution. Just as in Algeria, they decided that it would be better to take the initiative, give a series of minor concessions from above, and thereby stop a revolution from below taking down the whole regime, and with it, the privileged position of the ruling class, to which the tops of the military and security services belong. After assuming the role of head of state, Abdel Fattah al-Burhan has been very vocal, adopting bold rhetoric, and promising to carry out the will of the people, purge the state of former regime officials and enact the will of the revolution in general. Yet, at the same time no concrete, high-level arrests have been reported. No one knows the whereabouts of Bashir, and the TMC is refusing point blank to hand him over to the ICC or any other body. No plans have been made for his extradition either. Meanwhile, there are strong indications that it is negotiating with other African countries to facilitate his exile. Salah Gosh, the hated former head of intelligence, was also allowed to resign instead of being arrested for war crimes. The same goes for the country's public prosecutor, and the head of the state-run radio and television broadcasters. Along with members of Bashir’s NCP, all of these have been seen walking around freely with no one bothering them and no warrants for their arrest. The demand from the streets is for the dismantling of the NCP and the arrest and trial of the whole Bashir regime. Clearly, Burhan and the TMC have no intention of doing any of this. As Marx explained long ago, the state apparatus, the tops of the bureaucracy and the army are nothing but forces to defend and preserve the position of the ruling class. The TMC is itself full of members of the former regime, tied by a thousand threads to the elite, the capitalists, the landlords and the Bashir regime. While it is itself riven with internal factions and contradictions, it is clear that it is united in its determination to preserve the core of Sudanese capitalism and landlordism. 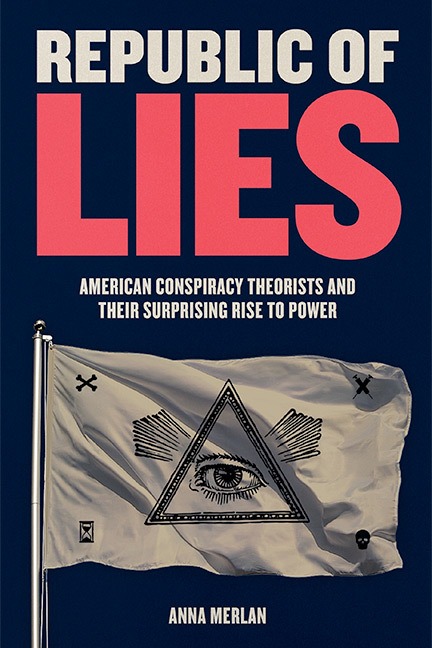 All of this is becoming apparent to the masses, who are learning from events at lightning speed. The streets are highly suspicious of the TMC and see through al-Burhan’s demagogy. He was himself a top officer, involved in the barbaric Saudi war on Yemen and in Bashir’s brutal civil war in Darfur. Yesterday, while al-Burhan was walking around posing as a revolutionary, military forces tried to remove barricades around the Ministry of Defence. This was only stopped by a call from the Sudan Professionals Association, the organisation which has been leading the protests, to mobilise and defend the sit in. With many soldiers on the side of revolution openly fraternising with the protesters, the army top brass withdrew immediately. It is clear for all to see that the TMC is manoeuvring against the revolution. By its so-called concessions and statements, it is attempting to throw dust in the eyes of the masses in order to buy time to regroup and strike back. Arrogantly, al-Burhan has stated that he will grant the people of Sudan a transitional period “of no more than two years”. This is exactly what it appears to be: a gigantic fraud designed to give the counter-revolution time to regain control of the situation. On Sunday, it was revealed that there had been secret meetings of the SPA and the TMC. This sent shock-waves throughout the masses who were indignant at the SPA leaders for negotiating with the counter-revolution. Who elected the delegates? Who decided the agenda? The whole process was shrouded in secrecy. The masses do not want to replace one unelected regime with another. While the SPA leadership was highly regarded, this has made a significant dent in its authority. The SPA has condemned the military, and has been calling for a civilian government, the dismantling of Bashir's National Congress Party, the dissolution of the NCP militias and security apparatus, the sacking of judiciary chiefs and the general prosecutor, the removal of the TMC, and other similar demands which would lead to the dismantling of the previous regime. But this is diametrically opposed to the spirit of the revolution, which demands democracy and accountability. Who will appoint this government? And why are four years needed before democratic elections can be held? Furthermore, what does “under the protection of the army” mean? Under the protection of the same people who have been oppressing and slaughtering the Sudanese workers, peasants and poor for decades? Under the protection of the same people who just weeks ago were violently attacking the revolution? The Sudanese masses have shown again and again that they do not need any protectors. As opposed to the regime, including the army, the masses are far better-equipped to run a society free of bloodshed and oppression. In fact, the statement of the SPA falls in line with the position of the army and al-Burhan, who have claimed that they do not want to be a part of a government. They merely reserve the right to claim the Ministries of Defence and the Interior. That is to say, the two positions that are crucial for maintaining of the oppressive apparatus would remain in the hands of the regime with no democratic oversight. In effect, this is nothing but a blueprint for a thinly veiled civilian-military dictatorship. It is no wonder that governments around the world, including Bashir allies such as the reactionary Egyptian military dictatorship and the Gulf states, have been throwing their support behind the army. The SPA leaders are now in danger of falling into the trap that the Tamarrod movement leaders in Egypt fell into in 2013. After having overthrown the Morsi regime, Tamarrod effectively had power in its hands. But not knowing what to do with it, the movement handed power to Sisi and the SCAF, who in turn did not hesitate, with partial success, in trying to crush the popular movement. It is clear that the Sudanese masses have learned from this and the streets fully understand there can be no trust in the army or any other pillar of the old regime. The whole of the state apparatus is infested by the rot of the old regime. They will never carry out the wishes of the revolution. Camping outside the Ministry of Defence, while it may terrify the army tops, forcing them to manoeuvre rather than to take the revolution head on, will not change their fundamental interests, which are opposed to those of the masses. In the organising committees of the protests, the strikes, the neighbourhood watches, the sit-in steward teams, we see the embryos of the institutions which the masses need to enforce their will. The SPA has declared that it is not a political organisation and will not participate in politics. But isn’t leading a revolution the most political of all acts? Instead of withdrawing and handing power to the army, SPA leaders should organise committees and councils to be elected in every workplace, school, barracks, neighbourhood and village where the revolution is present. These should then be connected on a regional and national level and should organise the election of an all-powerful constituent assembly to implement the will of the revolutionary masses. There is no reason to wait for the old regime to grant the masses their rights, they must take them themselves before the counter-revolution has time to prepare a counter-attack. At the same time, measures must be taken to address the acute social problems of the masses. While the elite has been living lavishly off the exploitation of the masses and the plundering of the natural wealth of the country, the conditions on the ground are desperate. Recent figures are sketchy, but it was reported in 2009 that 46 percent of the population lived below the national poverty line, over 70 percent earned less than the equivalent of US$5 a day, and 17 percent survive on less than US$1 per day. Over 5 million people face food insecurity or are in danger of starvation, and 32 percent of Sudanese children are malnourished. Moreover, 20 percent of Sudanese men and 40 percent of women are illiterate. On top of that, only 5 percent of the national budget goes into healthcare, compared to 70 percent that goes into the military. The health sector has been long undermined purposefully by the inflated spending on the military establishment and security for the protection of the regime. The monthly salary for doctors is on average around 45 pounds, which isn’t even enough to scrape by. These conditions have drawn such nominally petty-bourgeois layers into the popular struggle. The only way to address these problems is to immediately organise for the working class to take over the mines, factories, and oil installations, along with the occupation of the land by the poor farmers and peasants. By pooling these resources into a nationalised planned economy run on democratic lines, and by channelling the profits into investments for the modernisation of society and improvement of living standards, all of the above problems could be easily solved. In a matter of a few months, the revolutionary Sudanese masses have managed to overcome enormous obstacles and have proven to be all-powerful in the face of any opposition. With no real preparation or plan, they have brought the vicious dictatorship to its knees. The same people who ruled with arrogance and impunity before, are forced to bow to the masses. In fact, the masses could take power anytime, but they are not organised enough and lack the programme to do this. 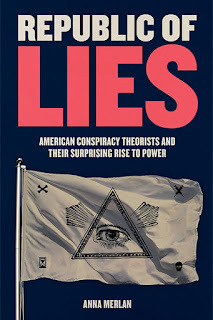 Meanwhile, military generals, and domestic and foreign diplomats are manoeuvring in the corridors of the ministries and embassies, and in the West, to steal the victory from the hands of the masses; to divide, disorientate and deceive the revolution in order to prepare for its undoing. The revolution should not place any trust in these people. It can only rely on its own powers, which have carried it through at every turn of events. It must tear down the whole edifice of the rotten Bashir regime and replace it with a state run by the workers, peasants and poor. Most importantly, it must dismantle Sudanese capitalism, which has brought nothing but never-ending misery and poverty to the proud peoples of the country. The Trump regime has branded the democratically twice-elected Maduro an “illegitimate” president. 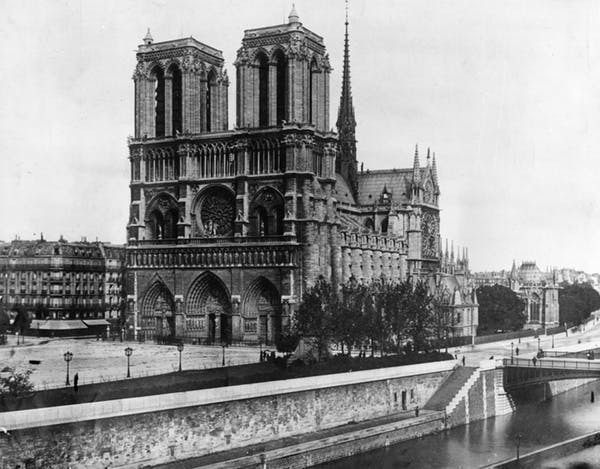 The Notre-Dame de Paris had been damaged and changed many times since it was begun in the mid-12th century. But the fire on April 15 might have been its most catastrophic event. Located on the eastern end of the Ile-de-la-Cité, an island on the Seine River, the site was a Christian church since the fourth century. And for a long time, it remained a powerful symbol of church authority. Even today, it is the seat of the archbishop of Paris. The current cathedral, dedicated to Our Lady, or the Virgin Mary, replaced an earlier cathedral that was built during the Merovingian period which lasted from the fifth to eighth century. The earlier building was dedicated to Saint Stephen, the first Christian martyr. Maurice de Sully is believed to have initiated the rebuilding of the cathedral around the same time that he became bishop of Paris in 1160. Maurice had previously served as archdeacon of the cathedral where he also taught theology. Other church officials likely also had a role in this rebuilding as the cathedral canons, or clerics, and not the bishop held authority over the structure. Reconstruction of the cathedral was part of a larger redesign of the eastern part of the Ile-de-la-Cité. This neighborhood housed the church officials, masters, clerics, servants and others who worked to run the diocese of Paris and the cathedral school. Maurice’s other projects at the time included construction of a new street, the rue Neuve Notre-Dame, which ran from the cathedral to the west – now replaced by the square in front of the cathedral. He also built a new palace for the bishop and a new charitable hospital. Construction proceeded under a series of master builders. The first part of the cathedral to be built was the eastern part, or choir. This was to serve as the religious heart of the structure where the main altar would be located. Construction then generally proceeded westward, though multiple parts of the building were sometimes worked on simultaneously. The design, however, was continuously revised during the course of construction. For example, in the 1220s the upper wall of the cathedral, which had already been constructed, was demolished and rebuilt to allow for larger windows. This transformed the building from a four-story to a three-story structure. The new cathedral was largely completed by around 1245, although, construction continued in various parts until the mid-14th century. During these 200 years chapels were added along the exterior of the cathedral, some structural supports modified and the transept arms were extended, giving the cathedral a cross-like shape. In my assessment, these many remodels during the Middle Ages demonstrated the vitality of the cathedral in medieval life and the creativity of the builders, as they adapted the building to changing architectural fashions and social practices. The change to a three-story structure, that had become the standard by the early 13th century, is one such example. My forthcoming book shows how cathedrals, including Notre Dame of Paris, were connected to the daily life in the city. There were markets around cathedrals and also spaces where disputes could be resolved. In other words, the cathedral was an important part of medieval city life. Notre Dame was the most colossal church of its generation – wider and taller than other European churches of the mid-12th century. There were several technological breakthroughs made in its construction. For example, it was a site of early experimentation with flying buttresses, the externalized buttressing arches that transfer the weight of the heavy stone vault away from the walls, which can then be pierced by large window openings filled with stained glass. It was the first French Gothic cathedral to receive a line of chapels along its exterior. These were added to the building between the projecting buttress piers after 1228. Many other cathedrals would later adopt this pattern. The chapels appended to the choir on the eastern end of the cathedral were the only ones from 1300-1350 to survive the French Revolution. Paris Cathedral played an important role in religious and secular life. As the seat of the bishop, Notre Dame was the most significant religious building in the city. Its size and luxury symbolized the power of the church and the authority of the bishop. It was also the site of ceremonies connected to the King of France, including royal funerary processions and the royal entry, a ceremony in which the city received a new king. Consequently, it was one of the many churches that were attacked during the French Revolution in the 1790s. This violence resulted in significant losses of medieval sculpture and stained glass and damage to the building itself. By the 19th century, the cathedral was in a state of disrepair. 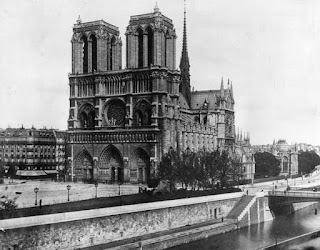 A major restoration effort began in 1843 under the supervision of architects Jean-Baptiste-Antoine Lassus and Eugène-Emmanuel Viollet-le-Duc, which was spurred by a larger renewal of interest in Gothic architecture. Viollet-le-Duc completed the restoration work in 1864. Many of the building’s iconic features date to the 19th-century restorations. These include the crossing spire that collapsed in the recent fire. It also includes the many gargoyles and chimeras that peer out from the upper parts of the cathedral, many of which are modern replacements of medieval sculptures. The 19th century also saw the construction of the parvis, or square in front of the cathedral, which significantly altered how one encounters the structure. Visitors to the cathedral now have a much larger area from which to view the front of the building which facilitates spectacular views of the cathedral’s twin towers. The roof of the cathedral was largely destroyed in the recent fire. While much of the building is constructed from stone, the roof was supported by enormous wooden beams that sat above the vault or curved stone ceiling of the church. Details are still emerging about its priceless 13th-century stained glass windows. And it is too early to say how much of the art work housed in it survived. The cathedral has stood for 800 years and withstood damage on many previous occasions. I am confident that it will survive this fire as well. Although the 2019 fire may appear to many as a cataclysmic destruction, the cathedral is exceptionally well documented. Andrew Tallon, a scholar at Vassar College, who died last year, had digitally scanned the building, resulting in measurements of the structure that are more precise than any data previously gathered. While some parts of the cathedral might be irreplaceable, I believe many future generations continue to admire and learn from this magnificent building, as well as its rich history. Maile Hutterer, Assistant Professor of the History of Art and Architecture, University of Oregon This article is republished from The Conversation under a Creative Commons license. Read the original article.